The chief of Staff of Iran’s Armed Forces has likened the US withdrawal from the 2015 nuclear deal to the Iraqi withdrawal from the 1975 Algiers border treaty, saying US President Donald Trump could face a fate similar to that of former Iraqi dictator Saddam Hussein. Speaking in an open parliament session on Wednesday, Major General Mohammad Baqeri drew a parallel between the incumbent US administration and the former Iraqi regime. “It would be good to compare Saddam who tore apart the 1975 Algiers Agreement with today’s oath-breakers (the US) and say the fate of such people will be similar to Saddam,” Fars News Agency quoted him as saying. In 1980, Saddam tore apart the agreement defining the Iran-Iraq border that was signed in the Algerian capital in 1975 and triggered the eight-year Iran-Iraq war, one of the deadliest conflicts in the Middle East history that left near a million casualties. Saddam’s regime was eventually toppled by the 2003 US invasion of Iraq, and the dictator was executed by the new Iraqi government in 2006. 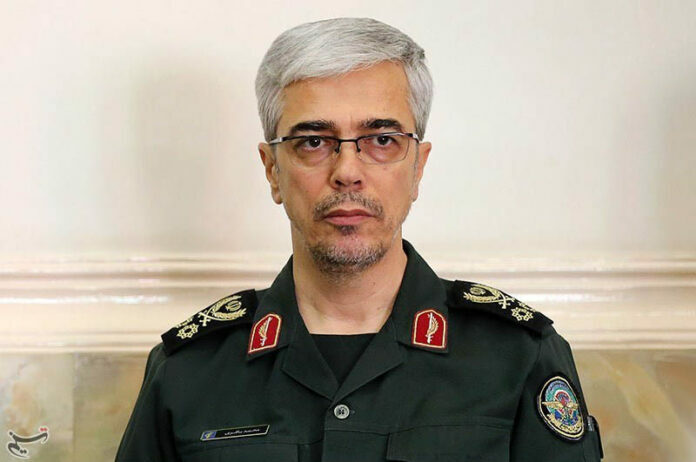 General Baqeri said the Iranian nation faces a big test, as the criminal US is bullying Iran and issuing threats. “Although this enemy does not dare to wage a war, it is trying to place economic and psychological pressure on the Iranian nation,” he said. The commander expressed hope Iran will be able to overcome challenges created by the US the way it could stand up to Saddam. In a follow-up to the US exit, US Secretary of State Mike Pompeo on Monday threatened to impose the “strongest sanctions in history” against Iran that would ultimately destroy Iran’s economy, unless it capitulated to 12 demands.